Yosemite National Park is justifiably famous for amazing views. From Glacier Point to Olmsted Point to Tunnel View, Yosemite provides visitors with stunning, jaw-dropping scenery on a grand scale. Though these landscapes are shared again and again, they always captivate the viewer – there is never a “meh” moment with the most famous views in Yosemite. But what about the not-so-famous views? Or perhaps you have wished you could have the view all to yourself? In the list below, you’ll find the famous, the lesser-known and even some private views of the sights of Yosemite. Summer vacation fun in Yosemite is not a secret. This busy season accommodates families, students, international travelers and casual daytrippers with warm sunny weather, activities for all ages such as hiking and biking, and access to Yosemite’s backcountry for backpacking under the stars. Sharing Yosemite with so many people may seem inevitable, but visitors can still find places to call their own with unique experiences that are worthy of an Instagram or two. Unless, of course, you want to keep it all to yourself! 1. Hike in Wawona. Yosemite Valley’s iconic trails are crowded for a reason. In Wawona, you can experience the same Sierra Nevada landscape with less company at a more leisurely pace. The Chilnualna Falls Trail and the Swinging Bridge Trail put visitors face-to-face with Yosemite’s magnificent waterworks in the form of waterfalls and the south fork of the Merced River. One of Wawona’s best kept secrets? The Swinging Bridge is perched above one of Yosemite’s coolest summer swimming holes. After a day in the sun, have dinner on the lawn of the Wawona Hotel during the Saturday BBQ. 2. Swim laps in the pool at Yosemite Lodge at the Falls. Then have an ice cream cone. River swimming isn’t for everyone, and parents may feel more comfortable swimming with small children in a pool environment. One of the best kept secrets at Yosemite Lodge at the Falls? The Cone Stand located at the entrance to the pool provides old-fashioned summer fun with ice cream cones for extra cooling after a dip. And the pool really is limited to lap swimming only at the beginning and end of each day. 3. Stargaze at Glacier Point. No doubt about it, Glacier Point is one of the most popular sights in Yosemite and on a summer day it may feel like every single visitor in the park has congregated there to goggle at Yosemite Valley 3000 feet below. But what is magnificent during the day is just as striking – and much less crowded – at night. Watching the sun set from Glacier Point is truly wonderful, but just wait until night falls and Yosemite’s night sky fills with millions of stars. Star Parties are hosted on select summer weekends with regional astronomy clubs where park visitors are welcome to take a look through club telescopes after dark. Yosemite Valley lodging guests will enjoy catching the Stargazing Tour – a bus tour that departs and returns to Yosemite Lodge at the Falls after a stargazing program at Glacier Point. 4. Check last minute availability at the High Sierra Camps. 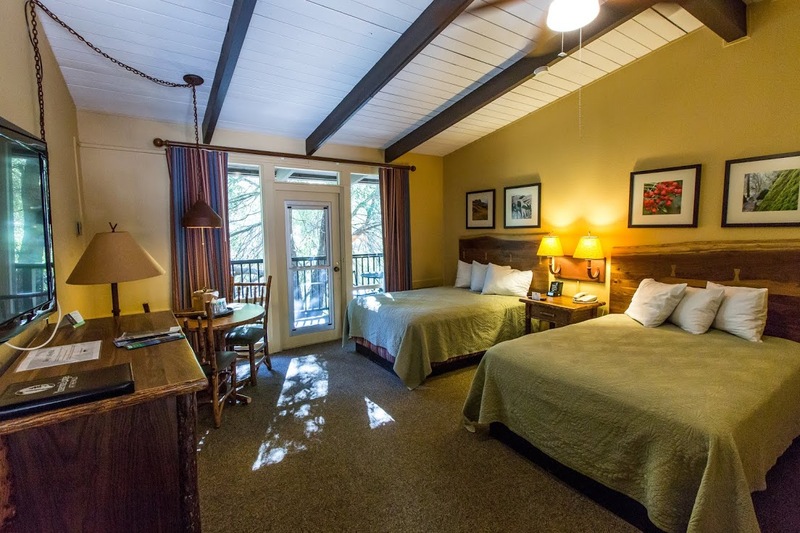 If you are a spontaneous traveler with a yearning to experience the High Sierra, last minute availability at Yosemite’s High Sierra Camps may be just the lodging for you. Open for a short summer season, the first reservations are acquired by entering a lottery in November the year prior. Once the lottery dates have been awarded over the winter, any leftover dates are posted on yosemitepark.com in spring. The available dates are often sporadic, but they do exist. If you can throw your backpack in the car for a last-minute hiking trip, you may be in for the experience of a lifetime. 5. Visit the Merced and Tuolumne Groves of Giant Sequoias. Yosemite is home to three groves of Giant Sequoias, though Mariposa Grove is by far the most famous. Due to the restoration of the Mariposa Grove in 2015 and 2016, these giants may not be accessible at this location. Luckily, both the Merced Grove and Tuolumne Grove require only a moderate 2 mile round-trip hike to view Giant Sequoias – which are found only in California’s Sierra Nevada. Both groves are located near the Crane Flat junction of CA 120 in Yosemite. 6. Order a sandwich at Degnan’s Deli in the AM and hike to the El Capitan picnic area. The made-to-order sandwiches at Degnan’s Deli in Yosemite Village are deservedly popular at lunchtime, but did you know that sandwiches are made at Degnan’s all day long? Arrive in the morning and order your sandwich wrapped to go for a day hike to the west end of Yosemite Valley following the Valley Loop trail. Sights along this route that follows the flat terrain of Yosemite Valley include Yosemite Falls, Camp 4 rock climbers campground, a stretch along the Merced River, and of course, El Capitan. Once you’ve arrived at Yosemite’s most famous granite monolith, look for the Ask-a-Climber program on the El Capitan Bridge. Equipped with a telescope, one of Yosemite’s local rock climbers will give you the scoop on climbers currently ascending El Capitan. 7. Take Part in the Great Yosemite Family Adventure. Visitors will find a wide range of family activities in Yosemite, but only one activity gives your family a chance to demonstrate their love for Yosemite as a team! Using a GPS unit and information about history, nature and geology, this scavenger-hunt-style program traverses roughly 3 miles of Yosemite Valley with clues, puzzles and riddles to solve for family members of all ages. 8. Buy a Fishing License in Yosemite. California’s fishing season gets underway in April, but summer allows access to all of Yosemite’s prime fishing environment – including High Sierra lakes. California fishing licenses are sold in Yosemite Valley at the Village Sport Shop, and in Tuolumne Meadows at the Tuolumne Meadows Store. You can purchase a license for the season or just for the day or week during your visit to Yosemite. 10. Take a guided hike, bike and rock climb with the Yosemite Mountaineering School. Yosemite’s local guides do it all: day hikes, bike-to-hike-tours, overnight backpacking trips, and of course, rock climbing lessons. Have you ever attended a social media event? Originally formed as part of the Twitter community and known as as “Tweet-Ups” (a play on meet-up, get it? ), social media events have evolved to include users of all social media channels in what are often referred to as “Socials”. This week, Delaware North at Yosemite hosted Yosemite National Park’s first “Yosemite Social”. By invitation, social media influencers and social media representatives of park partners gathered in Yosemite Valley February 1 – 3, 2015 to talk about Yosemite in winter. The original event itinerary centered around winter sports at Badger Pass Ski Area – California’s original ski resort and one of only two located in a national park. Unfortunately, Mother Nature has chosen to withhold snow from the Sierra Nevada this winter and Badger Pass has closed temporarily due to lack of it. So what to do in the Yosemite winter without snow? Yosemite Social learned about activities such as hiking, biking, and ice skating in a snow-free Yosemite winter. Social media users on Facebook, Twitter and Instagram can check out the experience by searching for the #YosemiteSocial hashtag on each channel. In addition to activities, Yosemite Social was hosted at Yosemite Lodge at the Falls with a welcome dinner at The Mountain Room. After dinner entertainment consisted of a Starry Skies Over Yosemite Program, led by Delaware North at Yosemite interpretive guide Cory. Taking Yosemite Social on a cosmic tour of the universe, Cory shared his extensive knowledge of astronomy on a walking tour under the dark night sky of Leidig Meadow. The next day, Yosemite Social took a Bike-to-Hike Tour with Yosemite Mountaineering School Guide Allissa. Using the cruisers from the bike rental operation at Yosemite Lodge at the Falls is an easy way to explore Yosemite Valley with occasional stops for short hikes and iconic vistas. Yosemite Social stopped mid-tour for lunch with freshly-made sandwiches at Degnan’s Deli in Yosemite Village and a meet & greet with Yosemite National Park Service staff. With grand views of Half Dome and Yosemite Falls as a backdrop, Ranger Paul provided insight into the methods and goals of social media for the National Park Service in Yosemite. Though Curry Village operates seasonally and is often closed during the winter months, Yosemite Social had a special pizza party dinner in the Curry Village Dining Pavilion featuring Pizza Deck pies – a tradition for summer visitors. Along with local beers and a green salad, dinner provided an opportunity to learn about operations at Curry Village – originally established in 1899 by the Curry family – from General Manager Dan Cornforth and Guest Recreation Manager Sean Costello. A short walk from the pavilion provided a winter evening’s activity: ice skating at Curry Village Ice Rink. Not only are rental skates available to circle the ice under Half Dome and Glacier Point during the day, take a break to gather around the fire pit during evening skate sessions with a S’mores Kit for dessert. Ice rink staff will even loan you long-handled forks for marshmallow toasting. On the last day of the event Yosemite Social joined The Ahwahnee‘s General Manager, Brett Archer, for breakfast in the Ahwahnee Dining Room. Since Chefs’ Holidays at The Ahwahnee was still in full swing for its last sessions, Yosemite Social also participated in an exclusive Ahwahnee Kitchen Tour for a close up look at baked bread, desserts and the hardworking kitchen staff in this historic hotel. Many architectural elements are original to the hotel opening in 1927, including giant Hobart stand mixers haven’t been available in decades. Each winter in January and February, Chefs’ Holidays hosts famous chefs from around the country for cooking demonstrations, historic kitchen tours and a gala dinner in the Ahwahnee Dining Room. Sincere thanks goes to the participants of the first ever Yosemite Social: Annie from NatureBridge, Amber and Noel from Yosemite/Mariposa County Tourism Bureau, Trevor from Tenaya Lodge at Yosemite, Annie from Outdoorsy Mama, Kim from Yosemite Sierra Visitors Bureau and travel photographer Zach Glassman. Would you like to attend a Yosemite Social? Look for future event announcements on Facebook, Twitter and Instagram. Guests at Yosemite Lodge at the Falls this summer may have noticed Yosemite’s autumn splendor well before the season began. 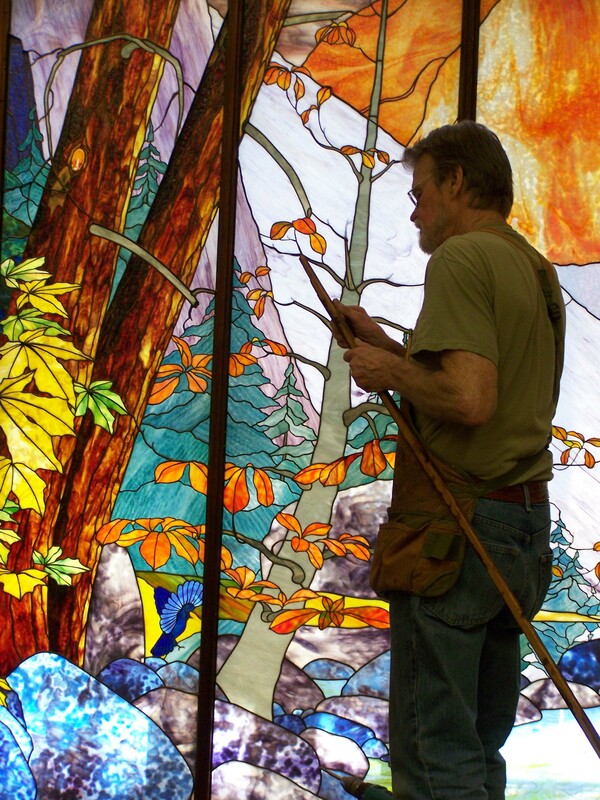 Taking the form of a large stained glass mural, “Tissiack” is a work of art created by stained glass artist Bill Poulson. Featuring Half Dome surrounded by the flora and fauna of fall in Yosemite, the mural measures 8 feet high by 14 feet long. Displayed in the windows of the Cliff Room at Yosemite Lodge at the Falls, “Tissiack” (the Native American name for Half Dome), was replaced this week by “The Chief” featuring El Capitan and the full moon on a winter night in Yosemite Valley. Artist Bill Poulson installing the “Tissiack” mural. Artist Bill Poulson, a California native, maintains a studio in the town of Arnold. 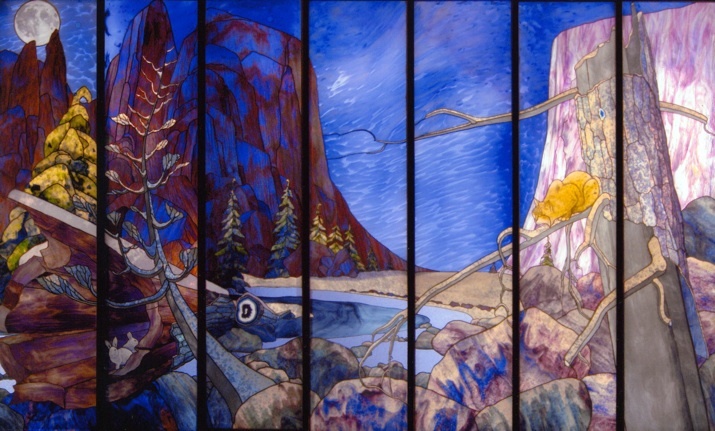 Inspired by a trip to Yosemite in 1985, Poulson opened a studio the next year and the plans for the Yosemite Mural Project as the “4 Seasons of Yosemite” began to take shape. Two murals have been completed – fall and winter – and the design for spring is complete. Once the design and composition is completed, it can take up to two years to perfect the full-scale drawings along with the actual glass cutting and assembly. There are over 2200 pieces of glass in “Tissiack”. 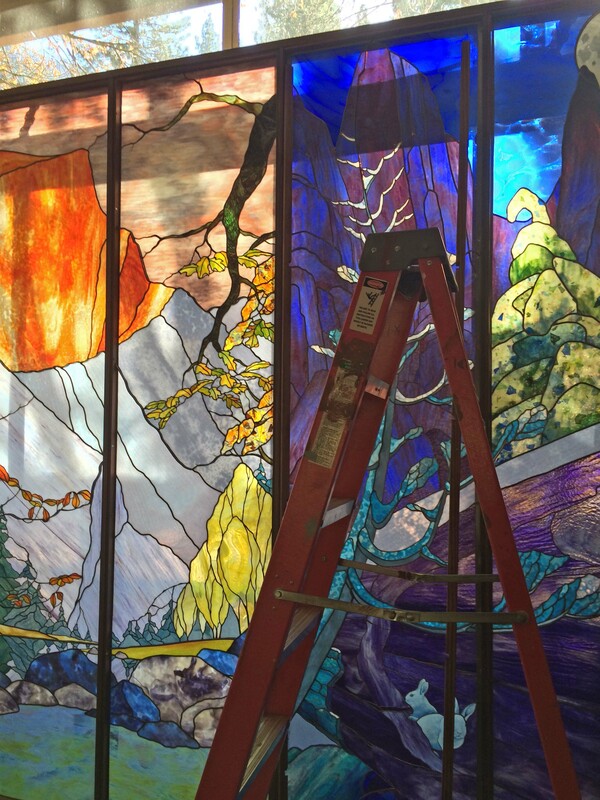 The murals are created in the traditional method of creating stained glass with leaded glass and copperfoil, reinforced with steel. “Tissiack” was completed in 1989 and the winter mural, “The Chief”, was completed in 2008. Poulson hopes to complete the spring mural in 2015. Until then, visitors can view “The Chief” for a view of winter in Yosemite that continues throughout the season. 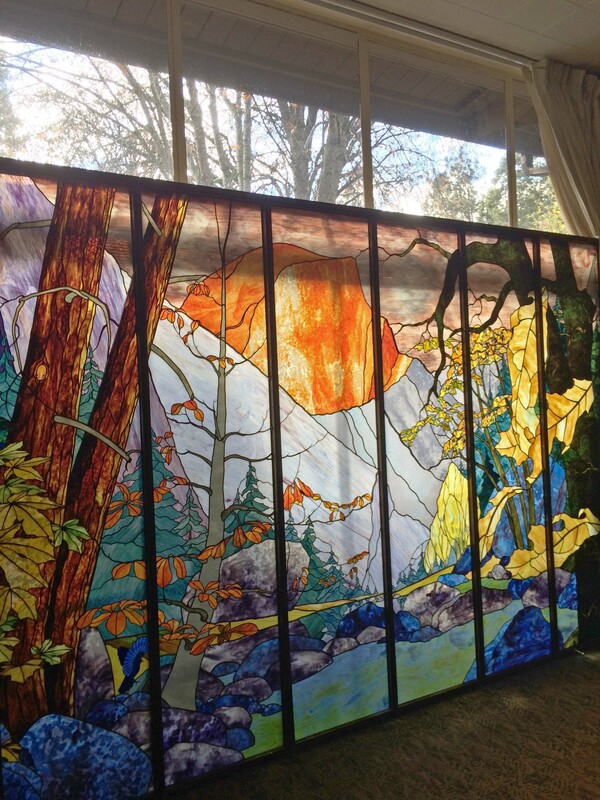 Look for the display in the courtyard of Yosemite Lodge at the Falls next to the gift shop. 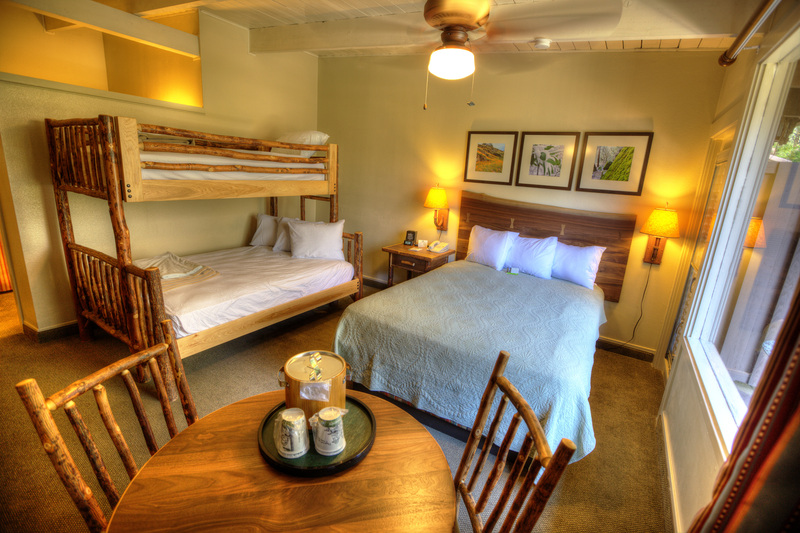 Yosemite Lodge at the Falls has completed a renovation of all 245 guest rooms with a fresh design incorporating eco-friendly design elements. This $10 million dollar multi-phased project followed the guidelines of Delaware North Companies’ award-winning GreenPath® environmental stewardship platform in creating rooms with environmentally responsible design elements, refurbishment of the lobby and updated ADA accessible pathways. All rooms are freshly painted using California-based Kelly Moore paints with low and zero VOC (Volatile Organic Compounds). Each room features new carpet made With fibers produced in part from recycled plastic bottles and backing derived from old tires, and the porcelain bathroom tiles contain 40% recycled materials. The light fixtures feature energy-saving compact fluorescent bulbs; CFLs use one third of the energy and last roughly ten times longer than standard incandescent bulbs. Other eco-friendly elements include bulk amenity dispensers in guest bathrooms to reduce plastic waste, shower and bath fixtures are high-performing, water-efficient models. Using just 1.28 gallons per flush, the toilet alone will save 5,000 gallons of water each year! The bathroom fixtures were locally created in Madera, California and the bathroom waste baskets and tissue holders, along with the guest room ice buckets are made of sustainable bamboo. Each room features Energy Star flat-screen televisions. Yosemite Lodge at the Falls sourced furniture from the historic Old Hickory Furniture Company in Indiana to outfit the rooms. This rustic, durable collection is made using mid-western hickory saplings, known as the hardest wood in North America that is 30% harder than oak and a renewable source that continually sprouts from the same stump. The guest room headboards are designed with an uncut and natural ‘live edge’, making each headboard completely unique. All guest rooms feature personal recycle caddies that were designed by Old Hickory Furniture Company. In addition, the new decor also features artwork by local Yosemite photographers. To complement the incorporation of green practices in the room design, DNC Parks & Resorts at Yosemite was able to divert more than 117 tons of construction waste from the landfill during the renovation process, contributing to a 52% diversion rate. All guest room furniture replaced in the renovation was re-purposed and the bathroom fixtures were donated to Habitat for Humanity. Picturesquely situated near the base of Yosemite Falls, Yosemite Lodge at the Falls has unique history as the site where the U.S. Cavalry was based when Yosemite Valley was originally under its protection. Built in 1915, the Yosemite Lodge complex was modernized in 1956 and again in 1998 to emphasis glass and wood detailing that blends with the natural surroundings. You can make an online reservation for Yosemite Lodge at the Falls or call 801-559-4949 and speak to a reservation agent. With spring’s arrival, Yosemite is experiencing the typical hallmarks of spring, beautiful weather, gushing waterfalls, blooming wildflowers and the reopening of Housekeeping Camp, Yosemite Valley Stable and the open-air Valley Floor Tours. Housekeeping Camp is scheduled to open for the season today, Thursday, April 25. A Yosemite family favorite, Housekeeping Camp is ideal for those who like to camp outdoors without the hassle of setting up a tent. Each of the 266 Housekeeping Camp tents, which can sleep up to six people, consists of three concrete walls, a concrete floor and a canvas roof. A canvas curtain separates the sleeping area from a covered patio featuring a grill and picnic table. Spring and summer reservations are still available for Housekeeping Camp and other Yosemite Valley accommodations. 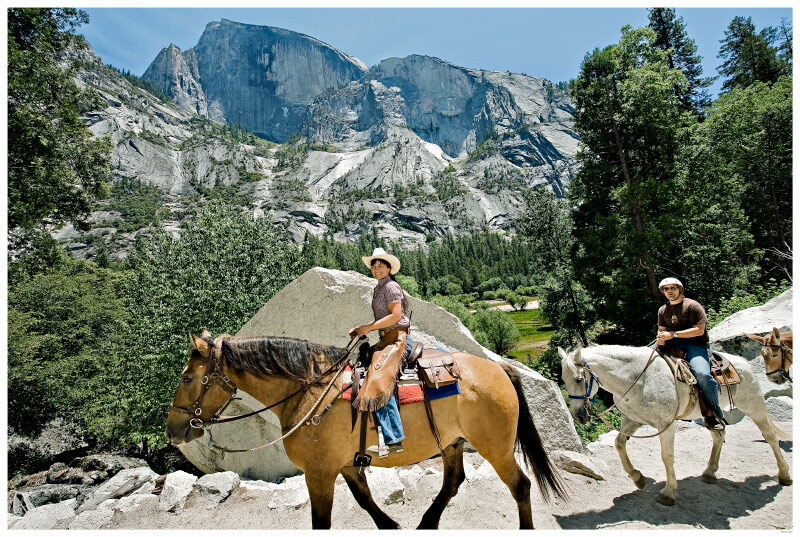 Yosemite activities opening for the spring and summer season include two-hour mule and horseback rides at the Yosemite Valley Stable and the popular open-air Valley Floor Tours. Yosemite Valley Stable opens on Friday, April 26 for the two-hour guided rides to picturesque Mirror Lake. Cost for the two-hour rides is $64 per rider. Half-day and full-day rides will open at a later date pending conditions. The open-air Valley Floor Tours are now open for the season. On this two-hour tour, park rangers introduce some of Yosemite’s most famous sightseeing points in Yosemite Valley and describe the history, geology, plant and animal life of the region. Cost for the tour is $25 for adults, $23 for seniors and $13 for children. There is no fee for children under the age of five. Other spring activities available include bike rentals and family programs. To sign up for any of these activities please call (209) 372-4FUN (4386) or stop by one of the tour kiosks. Kiosks are located at Yosemite Lodge at the Falls, on the parking lot side of the Village Store, and in Curry Village behind shuttle stop 13B. What does Yosemite Falls look like right now? Now, you can find out in a few clicks by visiting the new webcam on the Yosemite Conservancy website. The view is taken from Yosemite Lodge at the Falls, and shows Upper Yosemite Fall in all its glory. In this screen capture, taken this morning you can also see in the lower center part of the image, the top of a flowering dogwood tree, a favorite springtime subject for many Yosemite photographers. 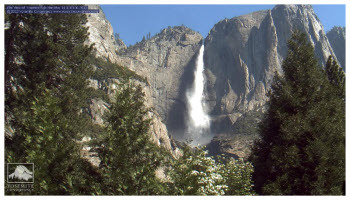 Because it is fed with snow-melt from the previous winter, the amount of water in upper and lower Yosemite Falls changes dramatically depending on the temperature and how much snow is left at higher elevations. So, the view from this webcam will range from revealing thundering falls in the spring months, to barely a trickle in fall. In the winter, freezing temperatures leave a delicate tracery of ice along the edges of the fall. You can also enjoy other webcam images from Yosemite on Yosemite Conservancy’s website, including views of El Capitan, Half Dome and the High Sierra beyond Half Dome. The Yosemite Conservancy is a non-profit organization that supports the park on many fronts including providing funding for important park projects, publications, webcams and a video series on the park called Yosemite Nature Notes.